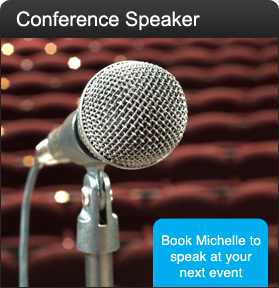 Michelle will bring her own laptop and would need audio capacity from her laptop to the sound system in the room. Michelle brings her own MP3 player complete with speakers to play music at various times throughout her presentation. Could you please ensure that there is a power board for Michelle to plug the sound system into. If there is an audio technician in the room she will give the MP3 player to the technician to plug into the existing sound system and to operate. Michelle will bring her own laptop and would like audio capacity from her laptop to the sound system in the room if there is an existing sound system in the room. 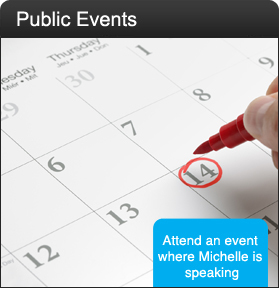 If not, please advise and Michelle will bring her own speakers. Michelle brings her own MP3 player complete with speakers to play music at various times throughout her presentation. Could you please ensure that there is a power board for Michelle to plug the sound system in to. 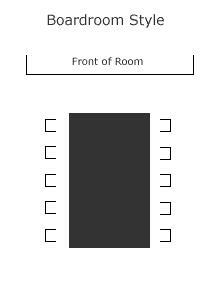 If the venue is rectangular, the ideal room set up if permissible would be presenting to the depth of the room as opposed to the width of the room. Please see the diagram below. 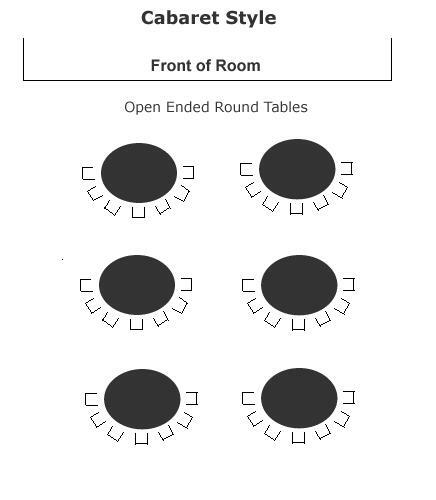 As per the Cabaret style, the ideal room set up if permissible would be presenting to the depth of the room as opposed to the width of the room. Please see the diagram below. 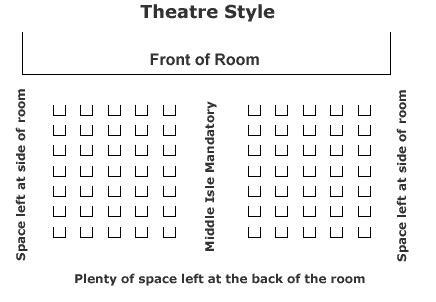 For larger audiences extra aisles running either front to back or side to side allow more space for interaction during Michelle’s presentation. Boardroom style is fine if the room does not allow for Cabaret or Theatre Styles. We value our partnership with you and agree to commit to your confirmed date and hold it in good faith. 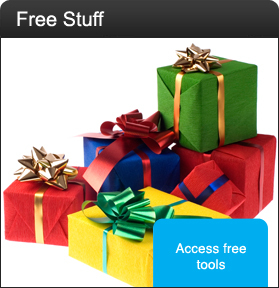 In turn we trust that our terms and conditions reflect the spirit of our working relationship with you. 1. Michelle Stanton is not confirmed for an engagement until a signed agreement and a 50% deposit have been received. 2. A final invoice is sent after the event and due within 7 days of receipt. 3. Any dates put on hold in Michelle’s calendar will be released after 14 days if there is no further contact from the client. If cancelled and notice is given 20 or more working days prior to the engagement date, no fee is payable and the deposit will be refunded to the client. Alternatively the program may be transferred to another mutually agreed date. If cancelled and notice is given within 10 – 19 working days prior to the engagement date, the 50% confirmation deposit will be retained. If cancelled and notice is given within 9 working days prior to the engagement date, 100% of the full confirmed investment will be payable. A final invoice will be forwarded for payment within 7 days. In the event that the client has to cancel the engagement date(s), then any training resources such as specific products & workshop materials created, venue hire payments and other expenses arranged and purchased on behalf of the client, will be invoiced for full payment to the client. In the event that Michelle Stanton has to cancel the agreed engagement, all monies paid will be refunded to the client. 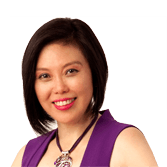 Alternatively, the client may choose to have Michelle arrange an alternative facilitator/trainer/speaker in lieu of a refund or transfer the engagement date(s) to another mutually agreed time. 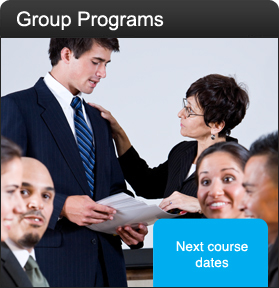 Within Australia: Speaking fees quoted are inclusive of airfare and ground transfers. Outside Australia: Business class airfare, ground transfers, accommodation and meals will be charged additionally. 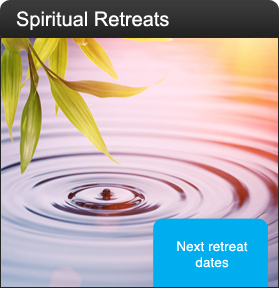 Manuals prepared by Michelle Stanton will be charged at $16.50 per person, if included in the speaking/workshop package. 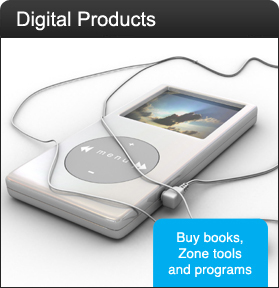 The pricing for Zone Toolboxes (mp3 downloads/USB/CDs) is negotiable, depending on volume. 6. 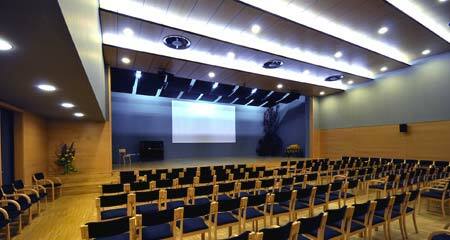 The Client agrees to arrange and provide all Audio Visual requirements. 7. Michelle Stanton is welcome to invite up to three guests to watch only her sessions. These guests will be approved by the client and come from non-competitive businesses. 8. Promotional material supplied by Michelle Stanton relating to Michelle Stanton products only will be given to the audience and only with prior permission from the client. Once again, we hope that these Terms and Conditions are taken in conjunction with the spirit of our partnership with you enabling us to concentrate solely on exceeding your expectations and providing you with world-class service. If you have any concerns with the above, please do not hesitate to contact us.